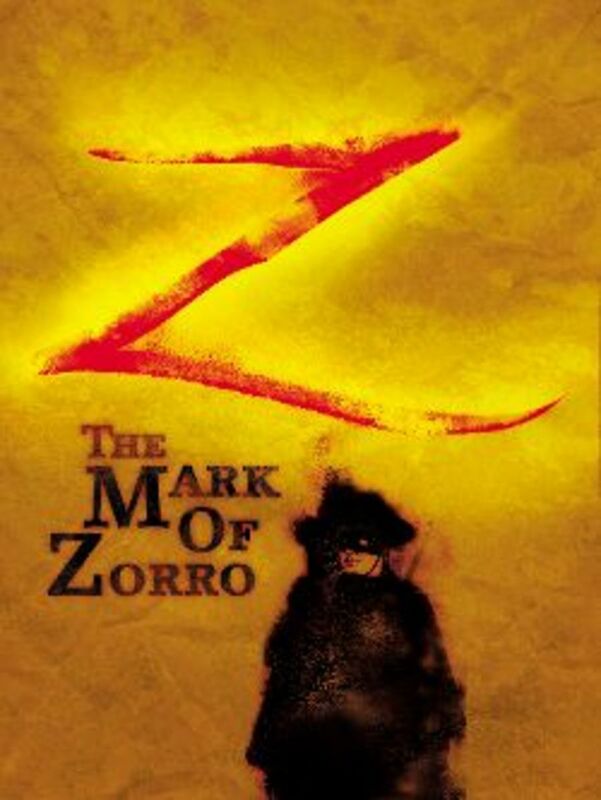 Zorro is a masked, caped crusader who protects the poor and weak against tyrants and wicked men. His identity is hidden beneath a mask, a cape, and a sword. 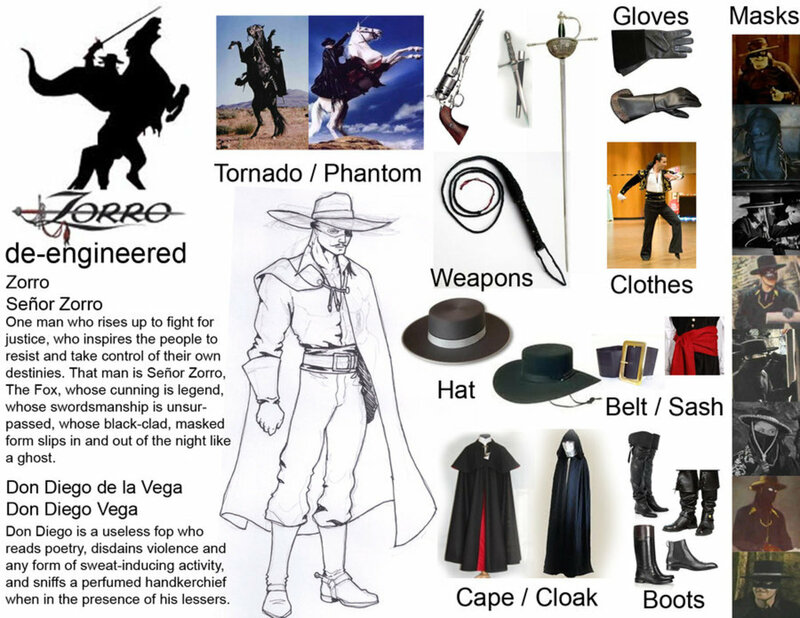 His real name is Don Diego de la Vega and he is a nobleman by birth. He acts like a spoiled bumbling rich boy but that's just a cover to hide the fact that he rides through the night as Zorro. No one suspects this bumbling, brat could be the dangerous and cunning outlaw do-gooder, Zorro, who marks his conquests with a swish of his sword, leaving a "Z" to show he has been there. Zorro who enjoys outsmarting and humiliating the authorities. Don Diego de la Vega wears the trappings of wealth, fine clothing made of rich fabrics. 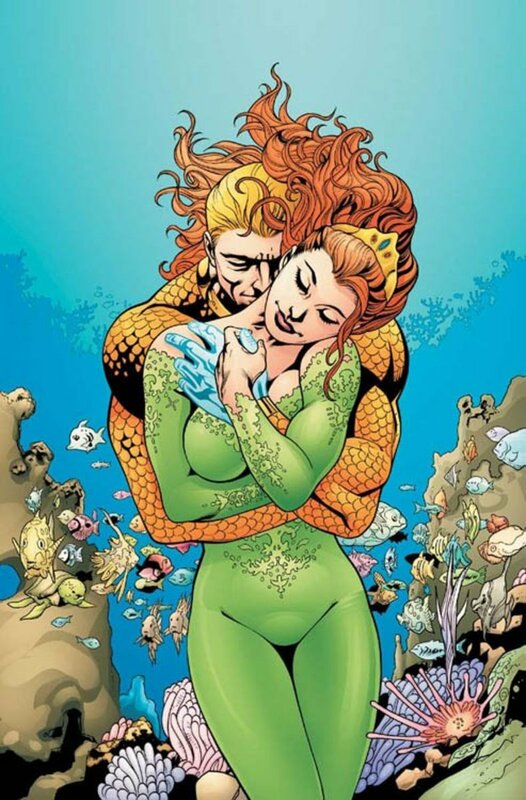 He is an aristocrat and his lifestyle is one of extreme wealth. But at heart, Don Diego is a righteous man and wants to live in harmony and peace with his neighbors. He doesn't want the poor taken advantage of and abused like he sees happening. He takes extreme steps to stop this from happening...and so Zorro was born. 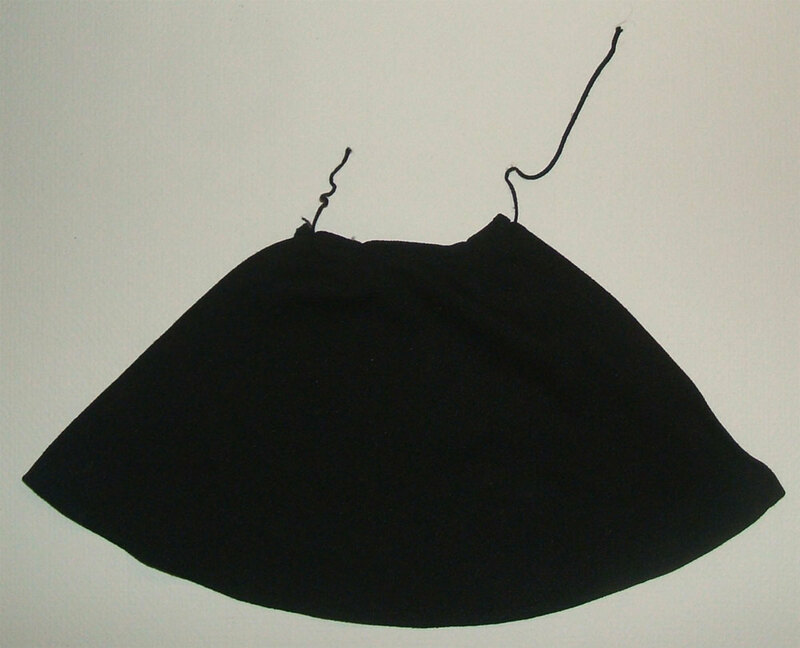 Zorro dresses in black - from the top of his head to his feet. He covers his face with a mask to remain anonymous Were his true identity to be found out, he would be thrown in jail as a common criminal for his crimes against the aristocracy and government. In his native language, Spanish, Zorro means The Fox. And this crusader certainly has out-foxed his enemies time and time again. So you are going to dress up as Zorro for Halloween. 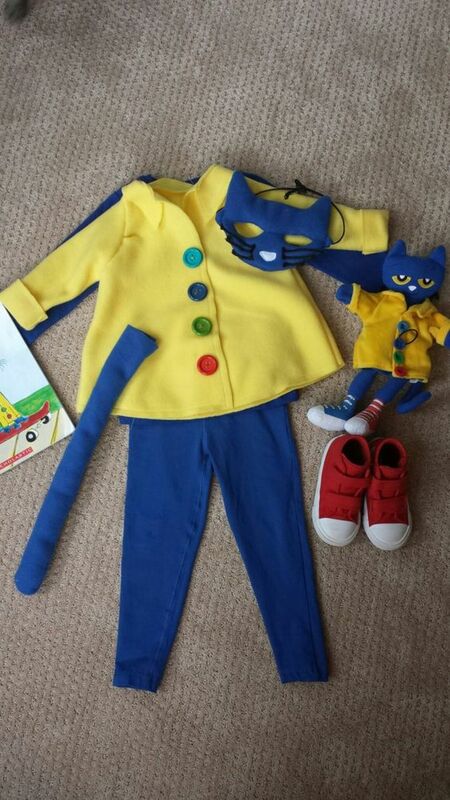 It's a great idea and an easy costume to make. The color for everything is black. If you only want to carry one weapon, it should be a sword. If you like the look of the costume Antonio Banderas wore you should look for some gold trim in a fabric or drapery store. 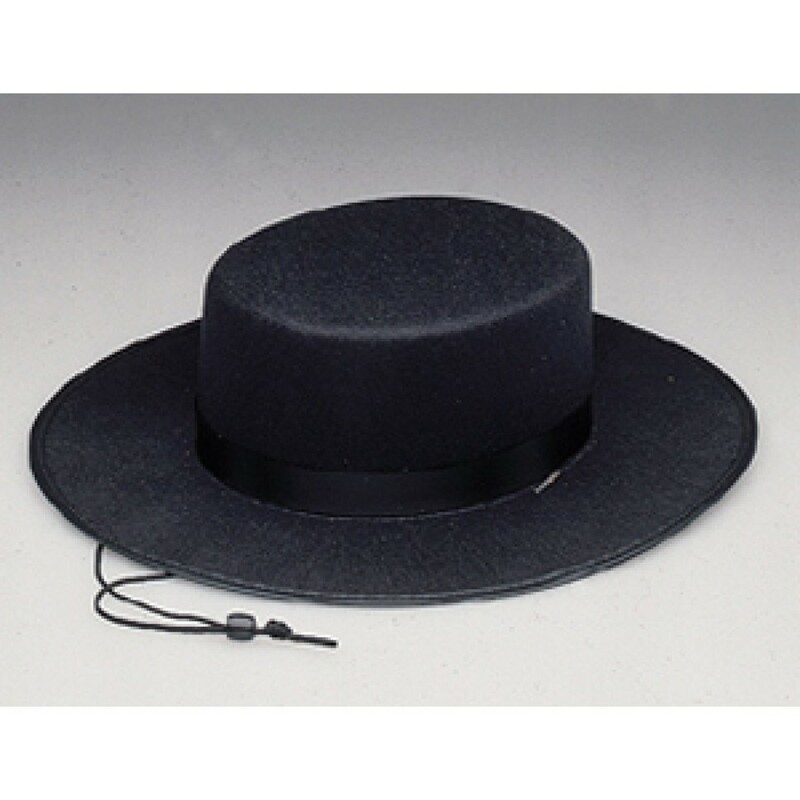 You can glue it onto a cheap, black hat and your belt too. This will give you an elegant effect without having to pay a fortune for your beautiful costume accessories. Gold lace would also work, simply cut out some of the pattern and glue it onto your hat and put some at the wrist area of your gloves. 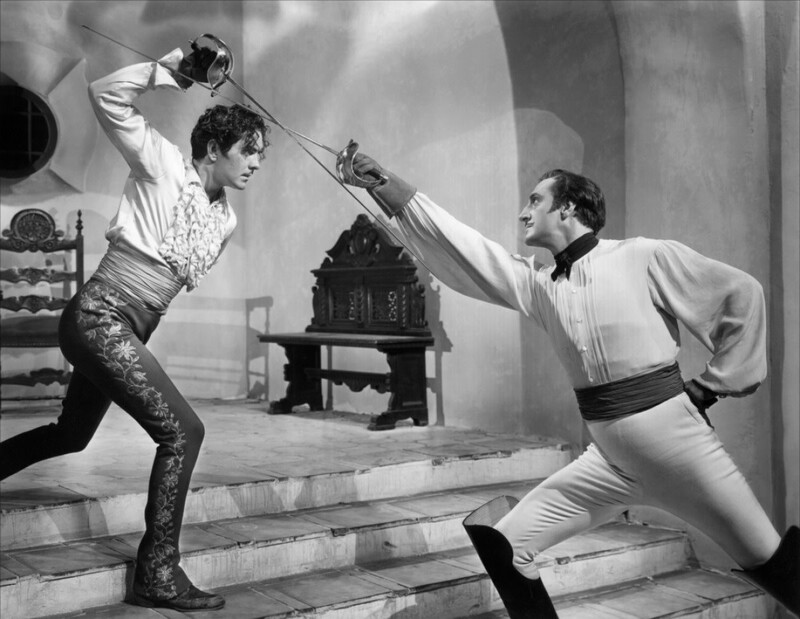 This picture of Tyrone Powers and Basil Rathbone fencing shows Zorro dressed as Don Diego de la Vega. You can see from the pictures there is not just one look for Zorro. Tyrone Powers had patterned pants on, Antonio Banderas wore a tooled belt, while other actors have worn large, intricate metal belt buckles, and others have worn a red sash. 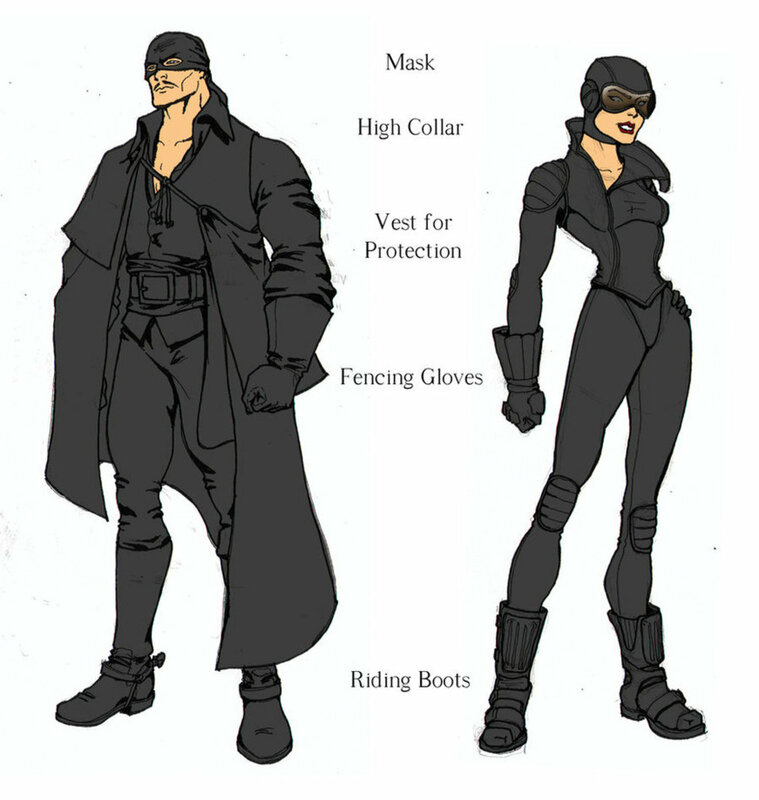 Some of Zorro's masks have been small facial masks, while others have been full out hoods. There are so many details you can delete or add to your costume and it will still look authentic. 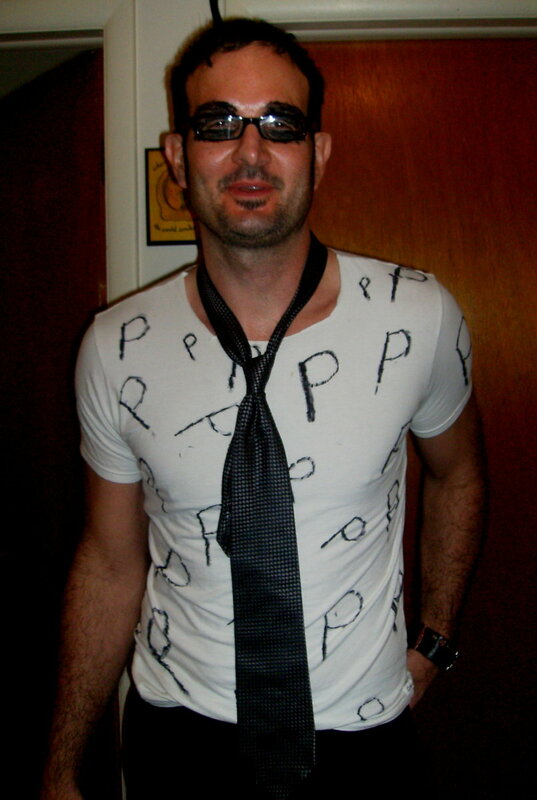 This is a pretty easy Halloween disguise to pull off, so don't sweat the small stuff. 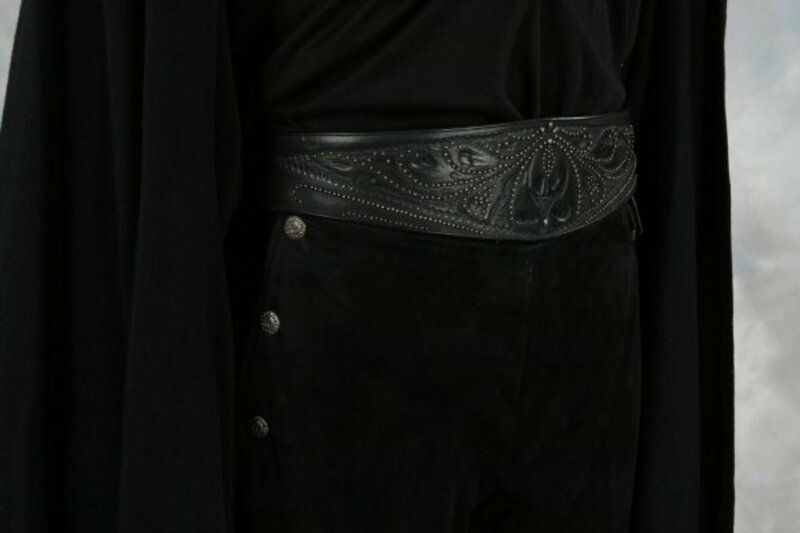 The most important things you need to pull off the Zorro costume look is all black clothing, a cape, a gaucho hat, a small black mask, gloves, and a sword. Anything more than that is costume gravy. It may add some points to your costume but you can get away without wearing a holster and gun, carrying a whip, wearing a decorative belt or a red sash. Your costume cape doesn't have to be ornate. 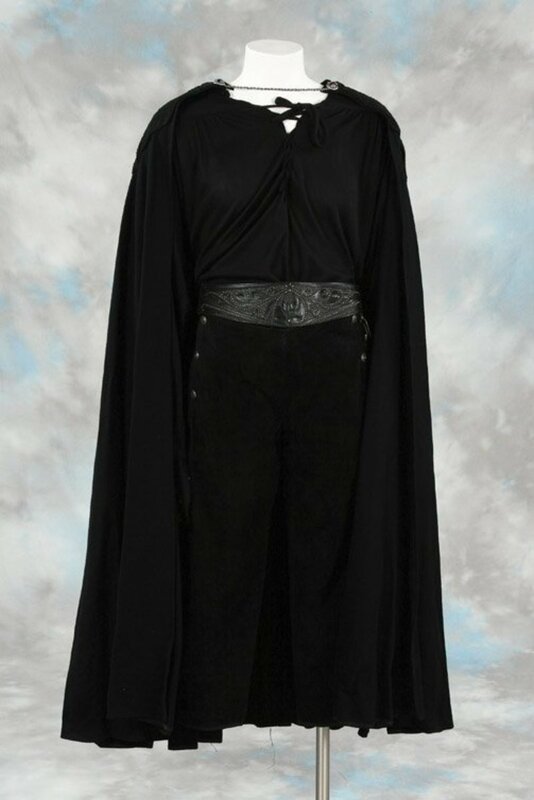 It can be a simple, black cape. Look in your closets, your drawers, and your attic for one. If you don't find it there check a consignment shop or call friends to see if they have one. If all else fails, make your own cloak. I found a video that will show you how to make a no sew cloak you can wear with your Zorro costume. This project isn't for kids - and if you let your kids try it, make sure they are supervised. 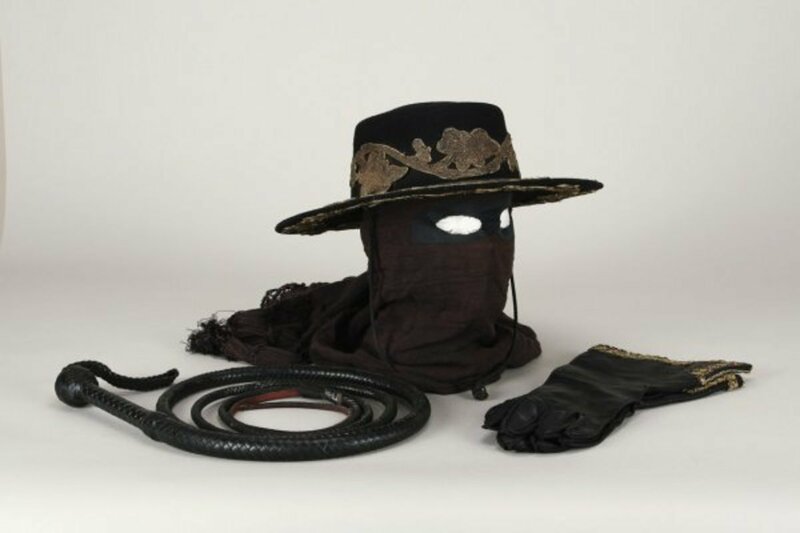 The many looks of Zorro can be seen in the TV shows and films about our cunning masked hero. 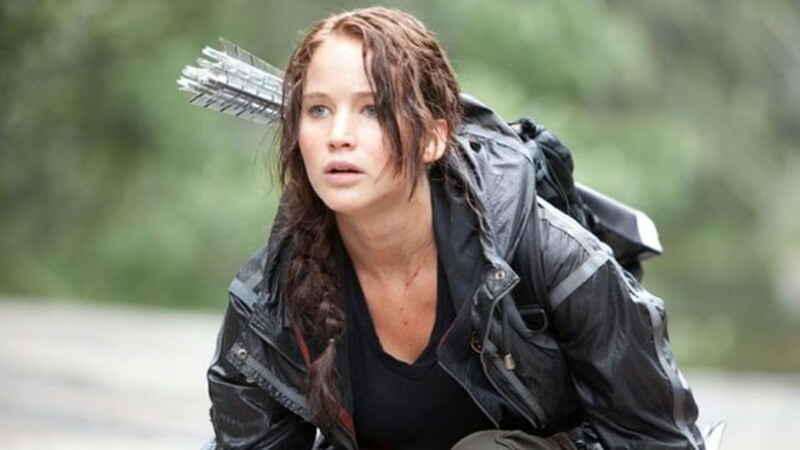 If you want to see the different costume changes for yourself, just take a look at a few of the films and TV shows mentioned below. I've also included a list of the actors who have played the role of Don Diego de la Vega and gone from distinguished and cowardly aristocrat to swashbuckling, sword wielding hero who can out-fox the best of the best! 1957 - 1959 Zorro was a 30 minute TV series from Disney that starred Guy Williams as Don Diego/Zorro. 1974 - The Mark of Zorro was a made for TV movie starring Frank Langella. 1990-1993 - The New Zorro was aired starring Duncan Regehr on The Family Channel. 2009 - Zorro TV series with the lead character played by Richard Gutierrez. 2016 - Still going strong, this is one more animated TV series named Zorro: The Chronicles.